MIM is The Musical Instrument Museum of Phoenix. 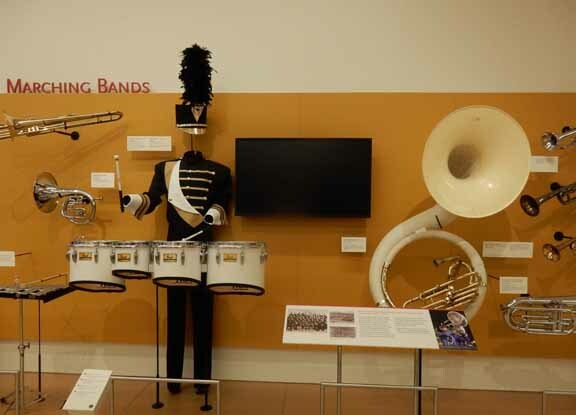 A former CEO of Target stores collected over 15,000 musical instruments from 200 countries over many years with the intent of creating this museum. The result is fantastic. 6,500 of the collection are on display. You cannot see it all in detail in one day. The museum is laid out by the globe. You wander from The US and Canada to Europe to Latin America to Oceania to Southeast Asia to East Asia to South Asia to Central Asia to The Middle East to Africa. Whew. Then there is The Artist Gallery, where various individual musical artists are featured. There is also a separate mechanical instruments gallery with player pianos, player trumpets, (who knew?) and dozens of other play by themselves things. 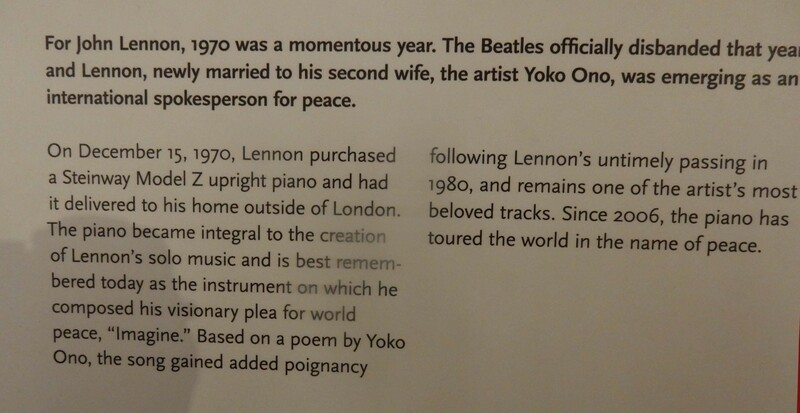 Then there is the hands-on gallery where you can play many of the actual instruments. Upon entry you are given a head set and at each display there are assorted sound clips of the instruments you are viewing being played. Sometimes individually, sometimes in performance with other instruments. It is extremely well done, fascinating and fun. 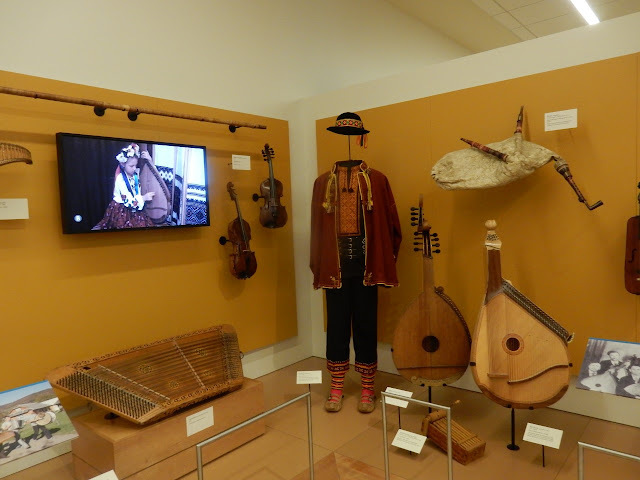 Each exhibit has instruments made in that country. Strings dominate. Variations of the violin and lute have been made all over the earth. Here are some photos to give an idea of this place. Anyone visiting Phoenix should really plan to visit MIM. Here is a typical country display. Note the video screen. Most audio tracks are accompanied by video. 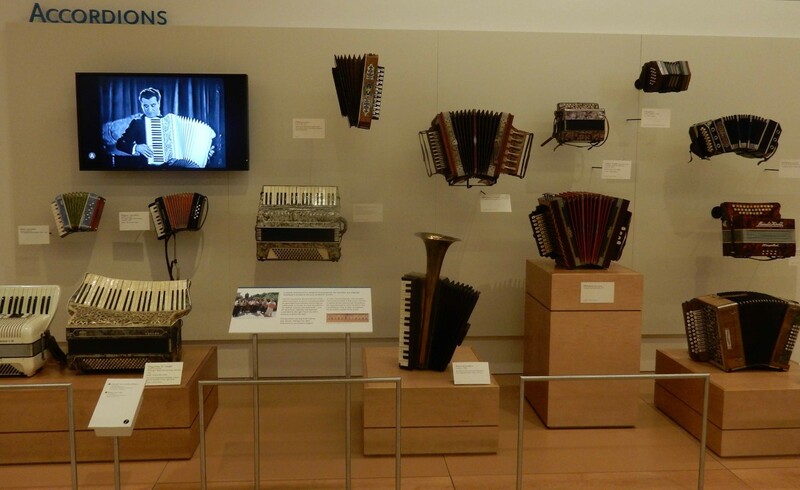 In addition to the country displays, there are displays on types of music and different types of musical performance. This is from the marching band area. 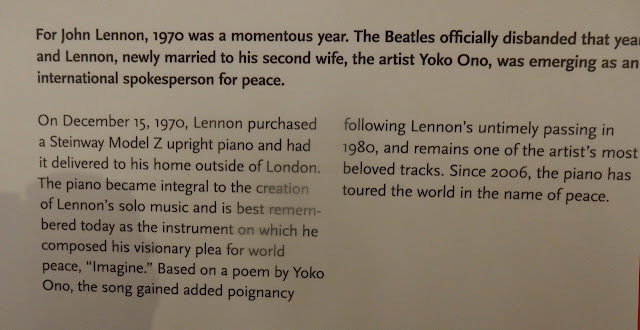 John Lennon's upright Steinway is there. 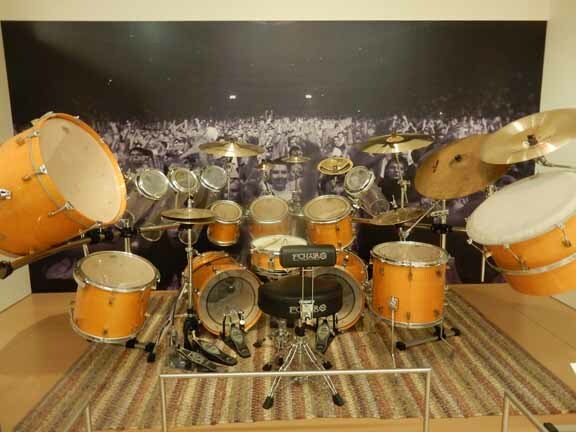 Being a former drummer, I was dying to sit down and play this huge drum set. The little model orchestra was fun. 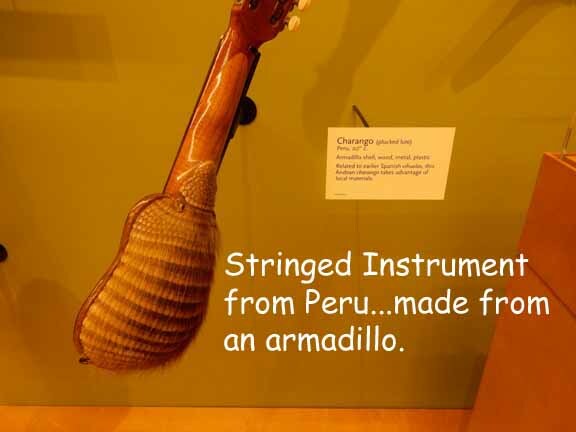 There are many unusual instruments displayed. This was great. 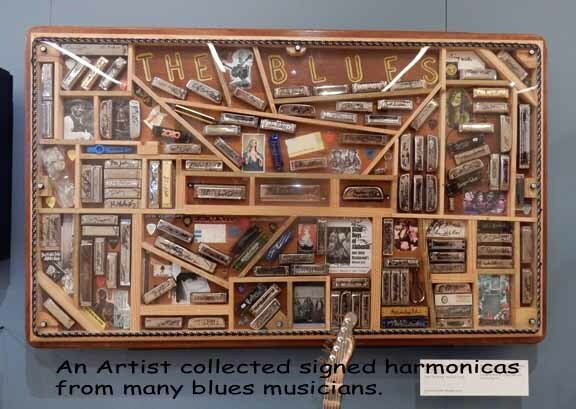 a graphic artist spent years attending performances of artists, many blues players and harmonica virtuosos, and had them autograph a harmonica. Great names. John Sebastian, Charlie McCoy, Charlie Musselwhite, B.B. King and on and on. There were instrument group displays also. 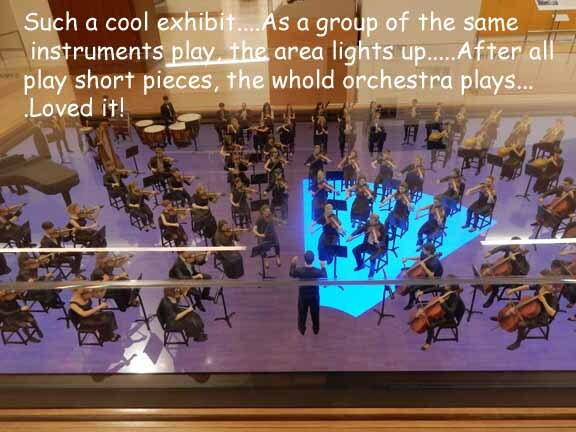 So much to see and hear at The MIM!